Happy Wednesday everyone! 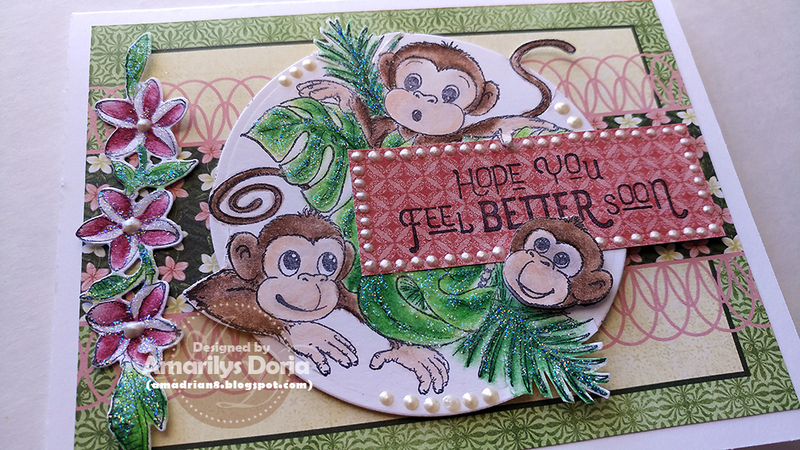 Here's a quick card I made with the Monkeying Around Collection! Trim a pre-printed card front and add to a 5.5"x4.25" white card base. 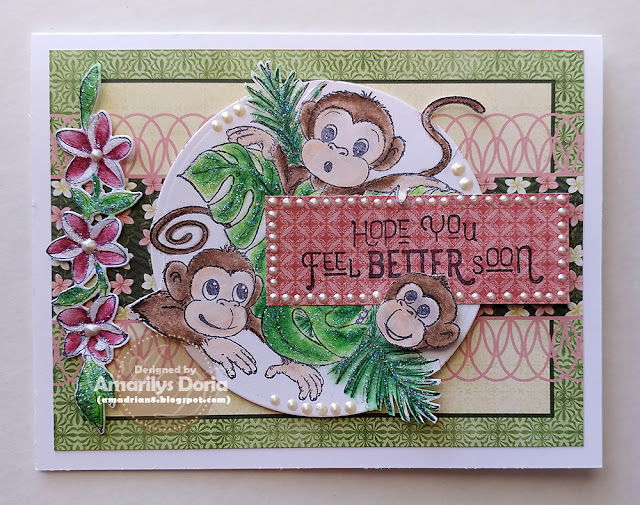 Stamp the monkey trio from the Palm Tree & Monkeys Cling Stamp Set and die cut using a circle die and being careful to not cut any limbs or greenery. Color the image using Prismacolor Pencils and blend using Odorless Mineral Spirits. Stamp the sentiment on pattered paper and trim it as a rectangle. Add liquid pearls and set aside to dry. Stamp the flowers on white cardstock and die cut using it's coordinating die. Add glitter and liquid pearls to flowers and monkey image and set aside to dry. Pop dot the circle image in the center of the card and add the sentiment over it. Add the flowers to the left side.